Nader Behdad knew from a young age that he wanted to make antennas for a living. The son of an electrical engineer working for a national TV broadcasting company, he often had the chance to accompany his father to work. He was fascinated right away by the enormous antennas they used to send signals far and wide. 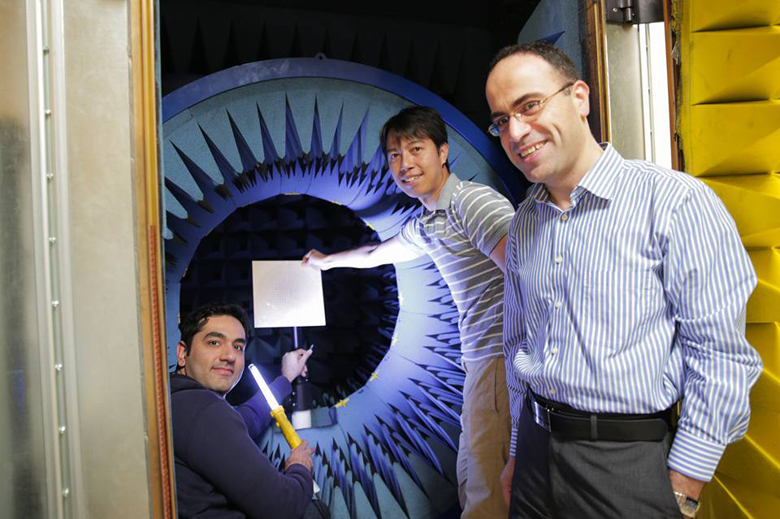 Now the inaugural recipient of the ECE Rising Star Alumni Award, which recognizes younger ECE alums who have achieved early success within their careers, Behdad (MS PhD EE ’03 ‘06) has tackled some of the toughest problems in antenna research. But for his applications, they need to be very small – small enough, even, to be used to treat cancer. As the Harvey D. Spangler Faculty Scholar in the Department of Electrical and Computer Engineeirng at the University of Wisconsin-Madison, Prof. Behdad and his group work to address several big problems in applied electromagnetics. In particular, his research interests include electrically-small antennas, antenna arrays, antennas for biomedical applications, biomedical applications of RF/microwaves, periodic structures, frequency selective surfaces, passive high-power microwave devices, metamaterials, and biomimetics and biologically inspired systems in electromagnetics. He also specializes in affordable phased array antennas. Phased array technology allows antennas to produce a very narrow, directed signal beam, and represents one of the hottest ongoing design problems in the field of electromagnetics. “The problems we work on have many different applications, but they all deal with addressing the fundamental challenges of antennas,” Behdad says. Recently the group has ventured into the medical field, where they apply their techniques to cancer treatment and medical imaging. Prof. Behdad and colleagues have designed a minimally-invasive antenna that can be used for ablation, the surgical removal of tissue. The goal is for this small device to essentially microwave away tumors, heating them from within until the malignant cells begin to die off. Existing work in this area has been almost exclusively restricted to lower-frequency microwaves, but Behdad’s group found that higher frequency ablation can achieve the same results while potentially allowing for much smaller antennas. Eventually, the group hopes to design long, flexible antennas that can be routed to the tumor and allow for very precise treatment. Behdad described this research in the talk, “High-Frequency Microwave Ablation Antennas for Minimally-Invasive Treatment of Cancer,” which he gave November 11, 2016 after accepting his ECE Rising Star Award. While on campus, he also served as a judge at the Engineering Graduate Symposium. Other projects in Behdad’s group of 15 students explore such diverse areas as microwave imaging for early detection of breast cancer, high-power microwave metamaterials, foldable devices from “origami electromagnetic structures,” and frequency selective surfaces. 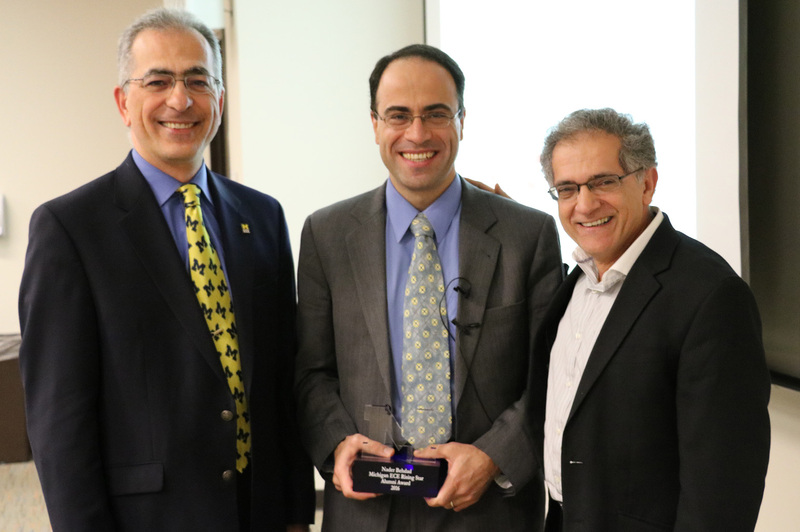 Behdad has received numerous recognitions as a young faculty member. He received an NSF CAREER award, and two Young Investigator Awards from the U.S. Air Force Office of Scientific Research and the U.S. Office of Naval Research. He has also received the R. W. P. King Prize Paper Award from the IEEE Antennas and Propagation Society, which is given to an author younger than 36 years of age for the best paper published in the IEEE Transactions on Antennas and Propagation. And he received the Piergiorgio L. E. Uslenghi Letters Prize Paper Award which recognizes the best papers published in the IEEE Antennas and Wireless Propagation Letters during the previous year, regardless of age. His graduate students have been the recipients of 15 different awards or recognitions at IEEE Pulsed Power & Plasma Science, IEEE AP-S/URSI Symposium, and the Antenna Applications Symposium. With nine issued U.S. patents and six more in the pipeline, he may turn his attention one day to commercializing his technology. But for now, the thrill of discovery and satisfaction that comes from working on problems that will improve people’s lives in a tangible way keeps him happy, and moving forward in new directions. Prof. Behdad says he wouldn’t be doing what he’s currently doing in his research if he didn’t have the freedom to explore as a graduate student working with Kamal Sarabandi, Rufus S. Tessdale Professor of Engineering and Director of the Radiation Laboratory. Behdad’s work at Michigan was initially focused on electrically-small antennas, with applications in microsensors and communications. This got him involved with projects in the NSF Center for Wireless Integrated MicroSystems (WIMS), now WIMS2. But much of what Behdad currently studies, and even much of his dissertation, came from unexpected results in those early projects. He did have a specific word of advice to Michigan students – and it’s the same advice he gives to his own students. 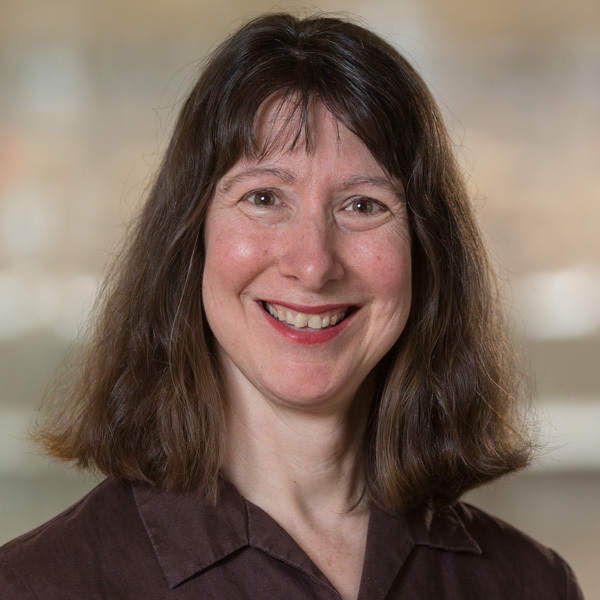 This new award recognizes younger ECE alums who have achieved early success within their careers in academia, government, industry, or private organizations. Awardees must be seen as an “engineer to watch” within the greater science and engineering community, and been nominated before the age of 35.